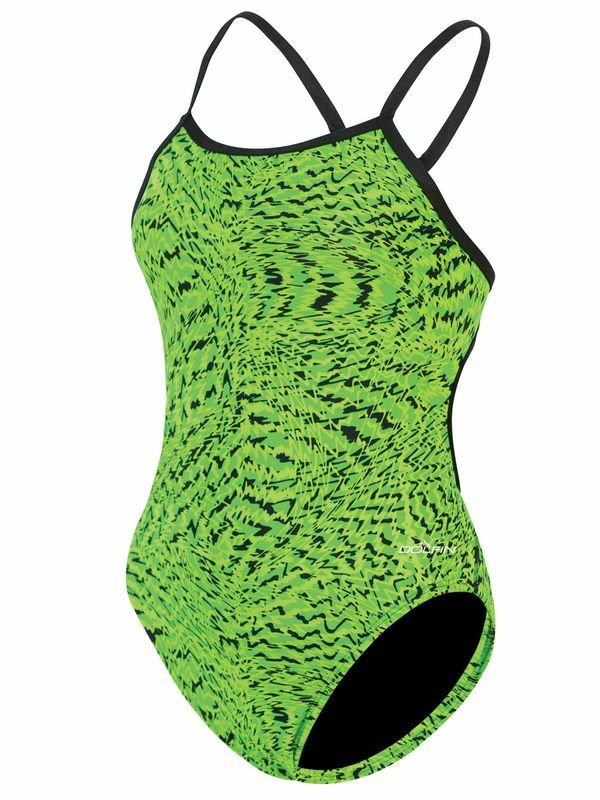 The Dolfin Sting Green String Back Womens One Piece Swimsuit is green with a black wave pattern and thin black straps. The v-back design allows for freedom of movement, comfort and flexibility. Make the most of your morning workout in this classic swimsuit.